Aamir Khan starrer Thugs of Hindostan is the first movie that failed to click with the audience in China after the huge success of his previous films 3 Idiots, Dangal and Secret Superstars which won him massive revenues, besides a huge fan following. Thugs of Hindostan failed to impress the Chinese audience. Aamir Khan’s Thugs of Hindostan failed to impress Chinese audiences with a poor opening on Friday which will be his first flop in the Chinese market after a string of box office hits. This is the first movie that failed to click in China after the massive success of his previous films 3 Idiots, Dangal and Secret Superstars which won him massive revenues besides a huge fan following. Thugs of Hindostan raked 10.74 million yuan (USD1.56 million) at the box office and according to Chinese movie ticketing platform Maoyan, the movie is estimated to get in only 96.1 million yuan, possibly the worst of Aamir’s movie performances in China, state-run Global Times reported this weekend. 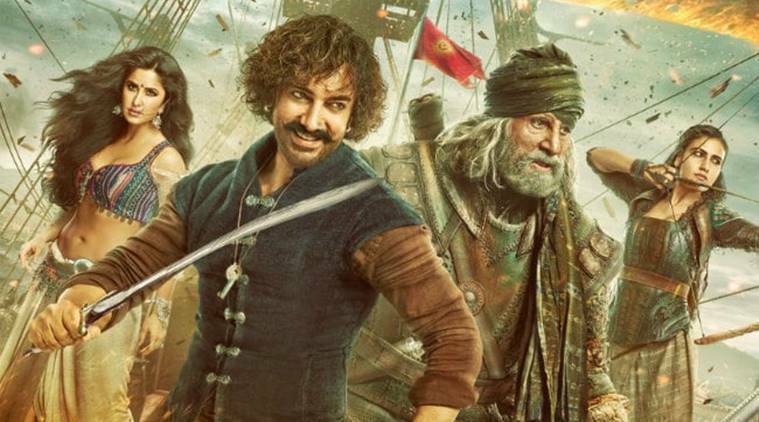 Thugs of Hindostan had performed miserably at the Indian box office too and the makers had hoped Aamir’s popularity in China will help the film pull through but that did not happen, the report said. Aamir, who is known as Mi Shu or Uncle Mi in China, had produced a special Chinese edition. He had also promoted the film for almost two weeks before the release by visiting a number of key cities including Guangzhou, Xi’an, Nanjing and Shanghai. Before Thugs of Hindostan, Aamir’s Dangal and Secret Superstar had also released in China. While Dangal managed to find a place in the top 30 all-time highest grossing films in China, Secret Superstar managed to collect above Rs 750 crore at the Chinese box office.